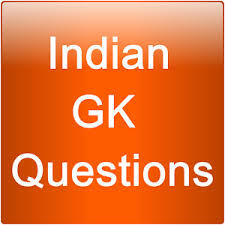 General Knowledge questions on Indian GK for Bank PO, IBPS, Bank Clerical And Indian GK For Railway GroupD,RPF,Rajasthan Police SI 11-09-2018 questions for bank exams, very important computer-related questions for Bank PO, SBI PO, IBPS,RAS, IAS, UPSC, RPSC, 1st, 2nd, 3rd Grade Teacher, REET CTET, LDC, SSC CGL, IBPS, MBA, CAT, MAT, SBI-PO, RBI And Railway, Indian Army And all competitive Exams, and Most expected Computer Question Papers with answers. These Questions are most commonly asked in Other Banking Exam And All subject Wise Notes and Math, Hindi, English, History, Political Science, Psychology, Sanskrit Related Study material. Question(1) Which Indian state is the holy pilgrimage “Amarnath” located? भारत के किस राज्य में पवित्र तीर्थस्थल “अमरनाथ” स्थित है? Question(2) India’s first Deputy Prime Minister? भारत के पहले उप-प्रधानमंत्री थे? Question(3) Who was the author of India’s national anthem “Jana Gana Mana”? भारत के राष्ट्रगान “जन गण मन” के रचयिता कौन थे? Question(4) Who was the President of the Constituent Assembly constituted to create the Constitution of India? भारत के संविधान को बनाने के लिए गठित संविधान सभा के अध्यक्ष कौन थे? Question(5) There parts of the Parliament of India? भारत के संसद में अंग होते हैं ? Question(6) The Supreme Commander of Indian Armed Forces? भारत के सशस्त्र बलों का सुप्रीम कमांडर हैं? Question(7) Who first read the news on TV in India? भारत में टीवी पर पहली बार समाचार किसने पढ़े थे? Question(8) When did the telephone call in India? भारत में टेलीफोन कब आया था? Question(9) When did Pincode start in India? भारत में पिनकोड का आरम्भ कबसे हुआ? Question(10) Where is the flowering valley situated in India? भारत में फुलों की घाटी कहाँ पर रिथत हैं?